Hostess the creator of the creme-filled cakes called Twinkies and so many other delicious snacks that went bankrupt last year has recently announced that they are coming back on July 15th. The company is retuning due to the support and poularity they gained after going bankrupt. 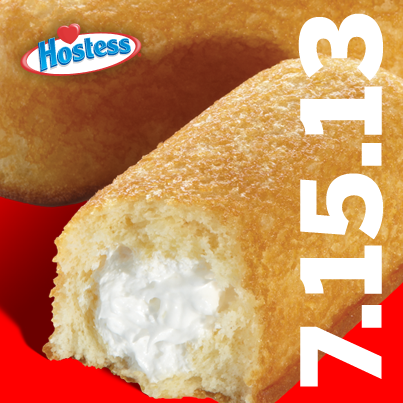 Hostess still is on Facebook page, and has a link to the the Hostess website that will be up and running this July. This entry was posted in Food, News and tagged Hostess, Twinkies. Bookmark the permalink.